I want to warn you now that if you're looking for a picture heavy post, this is not going to be it. The thing about black liquid liner is that unless it has some really quirky quality to it i.e. 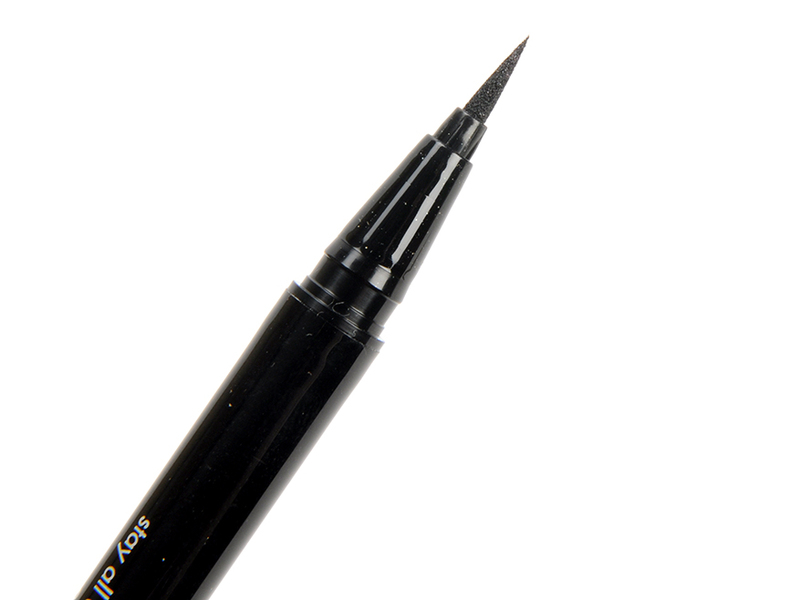 it's shiny or horribly pigmented, it's going to look the same as every other black liquid liner. The outward appearance of this is completely normal, so I see no point in blasting you with hundreds of photo of black lines on my arm. That being said, you should read this review, because this product is awesome and user friendly. I am not a huge fan of the pen or marker style eyeliners, I think that they don't give you as much product for your buck as one that you can dip the brush back into. However, they are (I'm guessing here, I'm not a biologist) probably a little bit more sanitary than those; even though you're running the felt tip against your eye every time, the formula shouldn't be getting introduced to new bacteria. Also, since I haven't had this for months or even weeks, I can't tell you if it's drying out quickly. What I can tell you though, is that for a pen style applicator tip, this is working like a beauty. I've had other pen eyeliners (like the Eyeko brand) that dry out as I'm using it, so I have to shake it up in the middle of application; not with the Stila liner. The Stila liner stays nice and moist the entire time I'm using it and that even includes putting it over eye shadow. Granted, when I had on a massive amount of very shimmery, very powdery shadow, I needed to shake between eyes, but that's kind of a given. 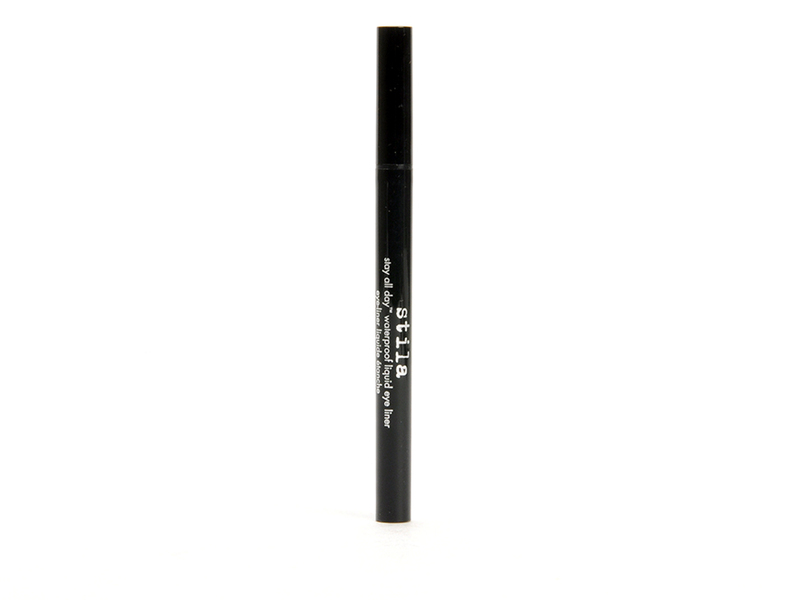 The formula is very black, just like it should be and it applies very smoothly with no skipping on the eyelid. I almost always pull my eyelid taught to apply liquid liner and I don't have to when I use this... which is so awesome that it almost freaks me out a little. The tip of the pen is very thin, so you can make a very thin line OR you can work it up/apply more pressure for a thick line. And then there's the staying power. This can be viewed as a negative or a positive, but it depends on your routine. If you need an eyeliner that is going to stay in place and stay nice and rich all day until you take it off, then this is definitely something you should look into. However, if you're lazy with makeup removal (and let's face it, we all are at some point), then this might not be the best bet for you. This will definitely stay on your eyes until you use makeup remover to get it off, so be warned... they're very serious about "stay all day". 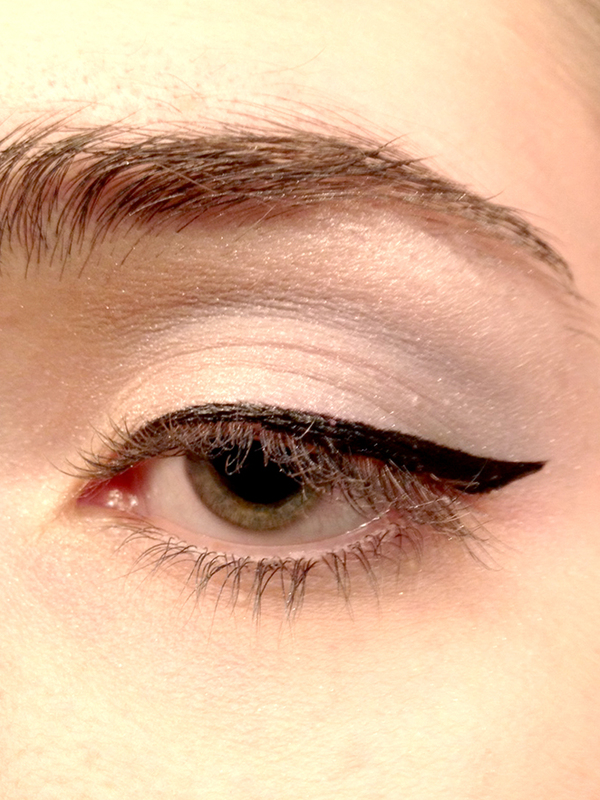 I apologize for the shoddy quality and the massive pupil in this picture, but this was a first attempt at a winged eye using this liner (and pre-mascara). I generally have to play around with a liner for a bit to understand its texture and how to best apply it, but this one was amazing right off the bat. I got this for a steep discount due to the sale, but honestly, I would (and may) pay full price for this. What do you guys think? Let me know down below! I absolutely love this liner and have been using it for a couple years now. Definitely stays very black until the very end of its use and does not dry up like many store brands! And where did you get this on sale, because I should buy like 3!